No matter what sector you are in or what it is that your business does, you are going to need some funding to get it off the ground. You might only need a little, or you could need many thousands – or more – of dollars, and understanding how you are going to get this money and how you are going to use it is going to help you immensely. If you’re not sure or you haven’t quite made up your mind which route to go down when it comes to finding your businesses, here are some ways it can be done. For most people, when it comes to the idea of borrowing money, a loan is what comes to mind. This can be a great place to start, as there are many different places to look for loans, and you can find some competitive rates if you do your research. Loans also work well because you know exactly how much you are going to be paying back each month as well as being able to choose (for the most part) who long you pay the money back over, which makes budgeting a lot easier. Your bank might not be the ideal lender, though, because they have strict criteria to adhere to and if you have only just started your business and have no proof of earnings, or if your credit isn’t good, they may not lend to you. If you are keen to find a no credit check business loan, which could be the perfect solution, you can click here to find out now where to look. Crowdfunding is growing in popularity year on year, and it is now something that many people choose over any other kind of business financing options. Crowdfunding in its most basic form is asking strangers for money to fund your business idea through the internet. There is more to it than that, of course, and you will need to create an amazing campaign that will catch people’s attention to begin with. That campaign needs to be full of information so that no one can be in any doubt that funding your business is a great idea. If you can really explain well what your business does and how it will help people, more people will want to get involved. Make sure that you are using the correct platform for your project as well, otherwise you might not attract the right people who would want to invest. There are crowdfunding sites for artistic projects, for business, for charities and more, so finding the one that will work best for you is important. You will also need to share your campaign as widely as possible because simply placing it on the crowdfunding site is not going to be enough. Once you share the details on social media, for example, others should do the same and you will soon find that you are raising money. If you don’t just want money but need some help and advice about how to run a business (or more specifically a business in your particular niche), then an angel investor might work best for you in terms of financing your business. An angel investor is a third party individual (or sometimes a group of individuals) who invests money into your company and then takes a share of the business in return. This can be negotiated, but will depend on how much input they are going to have in the business, and how much experience and expertise they have. It can certainly be worth giving away more equity than you might have originally thought you would in order to have someone you can turn to who will really add value to the business. Getting a personal loan can be an option if you are unable to get a business loan due to being a startup (although there are specific startup loans available, so make sure you do enough research first before heading down a different route). A personal loan can work out really well as long as the business is able to fund the repayments. You would get the loan out and then, in essence, loan that sum to the business. The business would then repay you, and you would repay the original lender. Although it may sound a little complicated, it means that you won’t personally lose any money, and your business can grow more easily with the funds it needs. Remember that if the company was unable to pay you back due to poor cashflow, for example, you would still be liable to pay the loan, so it’s wise to have some money in a separate account, just in case this were to happen. Your savings are another great way to fund a business. This can also be seen as a loan that you make into the company, and you can set up specific terms when you are repaid. This might be that you are able to charge interest, so you’ll actually make back more than you put in by the time the loan is entirely repaid. Not only will you be making money through your business, but you’ll have this additional revenue stream as well. It’s your choice as to how you handle this decision. Some people want to make a profit on the money that they have put into their business, whereas others would prefer to keep the money in the business and just receive what they put in in the first place. Some even defer payment until the business is able to better stand on its own two feet. It is possible to fund a business through a credit card providing you have enough money on it to spend on what is required. However, this can be an expensive way of doing things, and it is better to choose one of the other options if you can. 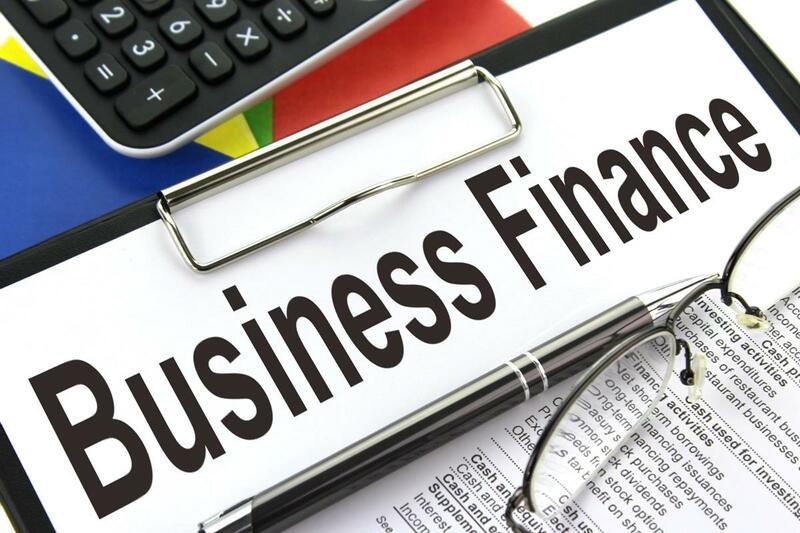 If a credit card is the only way that you can fund your business, then be careful not to overspend and to ensure that you (and the business) can afford the repayments. It’s ideal if you can pay more than the minimum each month whenever possible as well, as this means you will pay less interest.